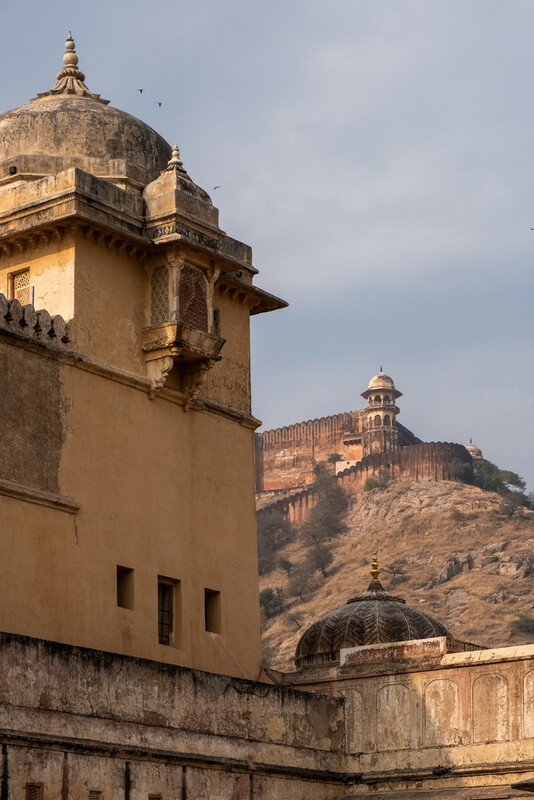 View from a courtyard in the Amber Fort. I find all these ancient fortifications really fascinating. How they were able to build in to the hillside is really amazing. @olivetreeann I couldn't agree more. I guess labour was plentiful and cheap, and there were some pretty smart cookies around in those early days. I love the correlation of the near and the far! Great image! I'm with Rob Z.
Fabulous capture. Great pov and textures. What a job it must have been to build this. @haskar Great place for a photographer. @merrelyn Certainly commanding the heights. @onewing I'd reckon. Wonder how many workers died in the process. @onewing Me too, I can't get my head around the notion of castes, especially where the 'lowest' cops all the scut jobs.